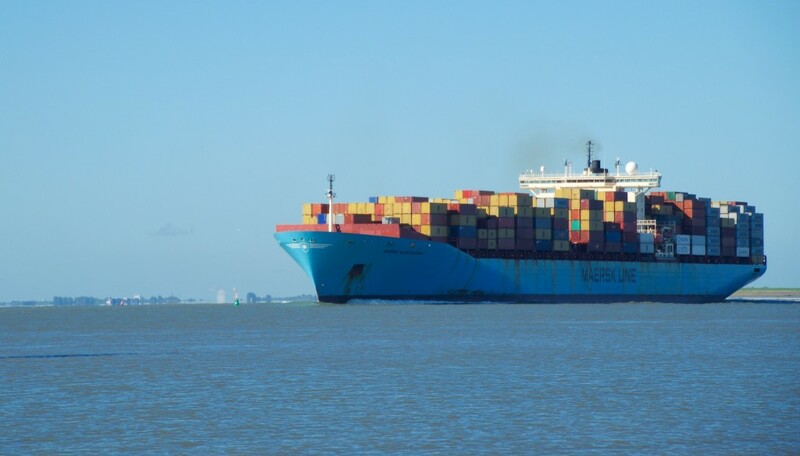 Heel veel geluk gehad aan de bocht van de Schelde in Bath. 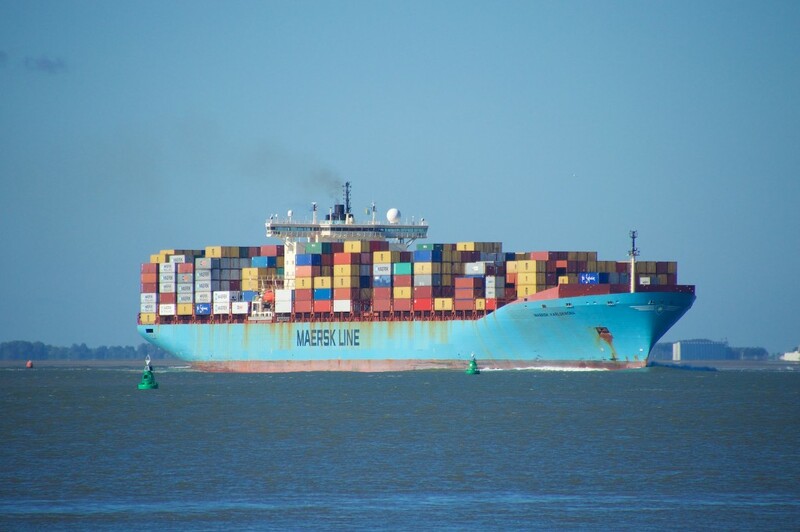 Er passeerde net op dat moment een groot containerschip van MAERSK. Once installed, Jenkins will run at port 8080 on your server. Before doing anything else, you must secure your installation. 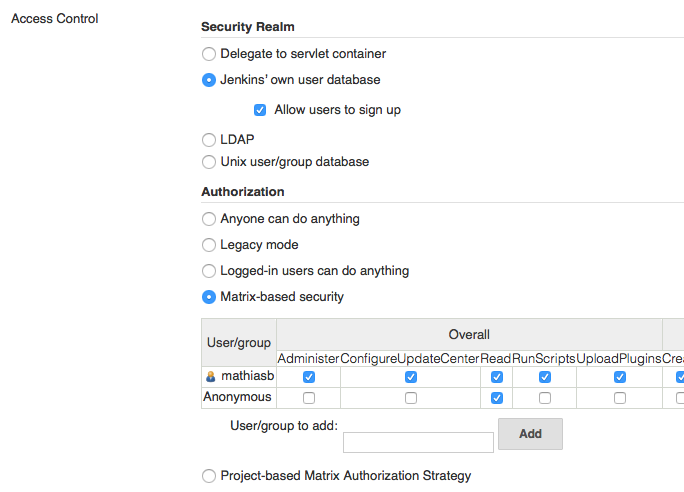 Navigate to Jenkins, Manage Jenkins, Configure Global Security. On this page you can specify all security settings. The most simple case is to use Jenkins’ own user database. If you refresh the page after enabling this option, you will see a Register button in top right corner of the page. Create an account before proceeding. Now you have an account, you can select Matrix-based security. This will show a list (matrix) of all security options. You can restrict the access for the anonymous user there. You should add your account to the security matrix with administrator access before saving. Otherwise you will lock yourself out! You can eventually add new users there with their own permissions. If you lock yourself out, you can manually disable security in /var/lib/jenkins/config.xml. Change <useSecurity>true</useSecurity> to <useSecurity>false</useSecurity> and restart Jenkins: sudo service jenkins restart. On some Jenkins installations you must install the Git plugin before you can use git as SCM. We also need to configure SSH keys for Bitbucket so we don’t have to use plain text passwords. Saving the key failed: /Users/Mathias/.ssh/id_rsa. On Bitbucket go to Manage account, click SSH keys. Back in your terminal, copy the contents of your public key file. More information on working with SSH keys (and Bitbucket) can be found here. Now we have generated keys for our Git authentication, we can add them to the credentials in Jenkins. On the built configuration screen select SSH username with private key for credentials. Select your username, and Enter directly for the private key. You also need to specify the passphrase (if you set one before). Choose for Trigger builds remotely and specify a really random authentication token. You can for example generate a random token using OpenSSL: $ openssl rand -base64 16. 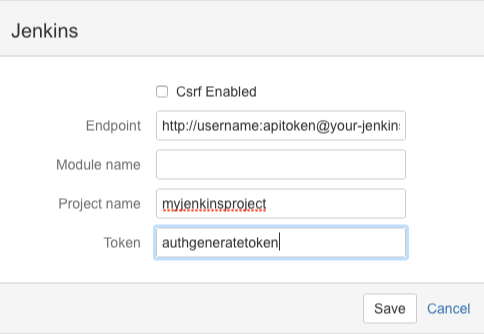 You also need the API key from your Jenkins account. Go to your profile page and click on Configure. On the configuration page click on Show API Token. Token: the authentication token of the project (that we generated earlier). If you now do a push to your Bitbucket remote repo, it will automatically trigger a Jenkins build. If you want to build the project with CMake, you might have to install the CMake plugin (and you need CMake on your server). Maybe you also need the Build Environment plugin. Once installed, you click on Add build step and you choose CMake Build. You can also specify a Shell invocation if you want to use your own make file or build commands. If you use GoogleTest, you can create a test output report with Jenkins. Execute gTest with this flag: --gtest_output=xml:gtestresults.xml. You also need to replace notun by skipped since Jenkins doesn’t like the first one. Now you have the xml report file, you must add the Publish JUnit test result report Post-build action with the gtestresults-skipped.xml file. 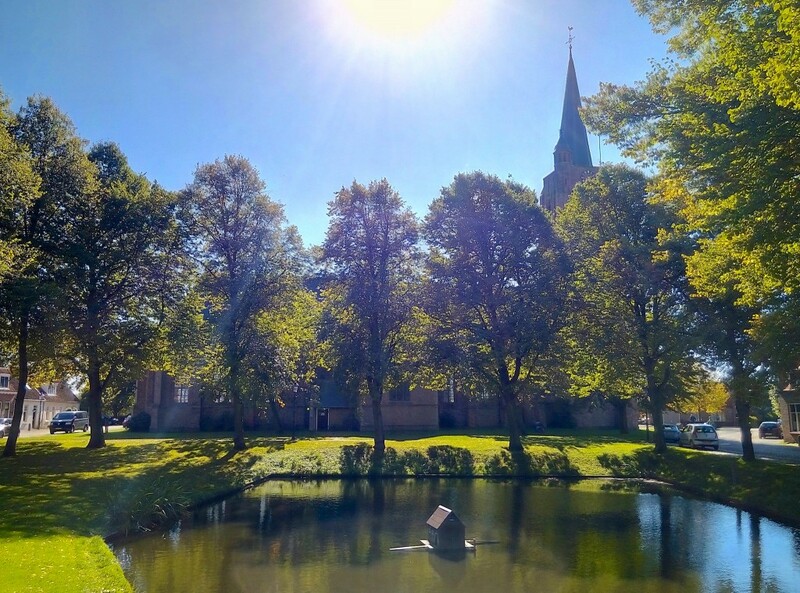 Fotoreeks van het dorpsplein te Nisse (Zeeland). Update: I added rewrite rules for WordPress permalinks to the Caddyfile. I also removed all unnecessary bits which are not needed anymore since Caddy now has built-in HTTPS support with Let’s Encrypt. Recently I discovered an amazing open source project: Caddy, a fully functional HTTP/2 webserver, written in Go. Caddy is a lightweight, general-purpose web server for Windows, Mac, Linux, BSD, and Android. It is a capable alternative to other popular and easy to use web servers. The most notable features are HTTP/2, Virtual Hosts, TLS + SNI, and easy configuration with a Caddyfile. Usually, you have one Caddyfile per site. Most directives for the Caddyfile invoke a layer of middleware which can be used in your own Go programs. In this tutorial I will explain how to run WordPress with Caddy server (on Ubuntu), using Caddy’s FastCGI support and PHP-FPM (i.e. PHP FastCGI Process Manager). Of course you also need MySQL/MariaDB to run WordPress. I assume that you have a MySQL server up and running (or that you have the knowledge to do so) . PHP-FPM listens to FastCGI requests on a unix socket by default (on Ubuntu and Arch Linux): unix:/var/run/php5-fpm.sock (or unix:/var/run/php/php7.0-fpm.sock for PHP 7). So we’ll have to tell the webserver to pass the PHP requests to it. You could also use a regular UDP socket if you want: change listen in /etc/php5/fpm/pool.d/www.conf to 127.0.0.1:9000. On some operating systems (e.g. FreeBSD), PHP-FPM listens on this UDP socket by default. Now we need to configure Caddy so it will use PHP-FPM. We also need to specify virtual hosts for the domain(s) we will be using. The following Caddyfile contains everything you need to run WordPress with PHP-FPM on HTTP/2. Caddy will use the wordpress folder as document root, and will pass all PHP requests to a FastCGI process (which is the PHP-FPM process). It will also automatically install SSL certificates (from Let’s Encrypt) and serve the website over HTTPS. HTTP requests will be redirected to the HTTPS domain. The Caddy documentation contains more detailed information on the available directives. Checkout my other blogposts if you need help Running Caddy Server as a service or Creating a self-signed certificate. Now it’s time to install WordPress. Simple download WordPress and copy the files to the wordpress folder. To install WordPress you can just follow the steps on the screen like any other easy WordPress configuration. If you want to use HTTP/2, you should configure WordPress with HTTPS enabled. You can do this in Settings, General: change http in the urls to https. Most browsers only speak HTTP/2 when using TLS. Although TLS only is not marked as mandatory in the RFC 7540, Firefox and Chrome development teams have no actual intents to implement HTTP/2 without TLS. First you need to generate a private key. This private key will be the only key that can decrypt your SSL traffic. Using the private key you’ve generated seconds ago, you must now create a CSR (Certificate Signing Request). In most cases you can just use the default values for everything except the common name. The common name is usually the domain of your website. Normally you would pass the CSR to a CA (Certificate Authority) who would sign it for you. But using the following command you sign the certificate yourself. Update: Need to run Caddy as service with systemd? Checkout this blogpost! Recently I discovered a very promising webserver (written in Go) called Caddy. Now, Caddy is just an executable, which I wanted to turn into a service on my Ubuntu server. Running any executable as a service can be done using Upstart. Once you’ve created a config file in /etc/init/my_service.conf, you can use some simple commands like service my_service start, service my_service stop, … and the service will run at boot time. The output of the program will be logged to /var/log/upstart/my_service.log. start on runlevel  specifies the job needs to be started after the basic facilities are up. stop on runlevel  is used for a normal shutdown. setuid and setgid can be used to run the job under a specific user account. Set this to an account that is less privileged than the root user. You don’t want to run a webserver with root access! respawn will automatically restart (well… ‘respawn’) the process when it stops for any reason. respawn limit COUNT INTERVAL | unlimited specifies a limit for the automatic respawn of the process. Respawning is subject to a limit. If the job is respawned more than COUNT times in INTERVAL seconds, it will be considered to be having deeper problems and will be stopped. Default COUNT is 10. Default INTERVAL is 5 seconds. To have the job respawn indefinitely, specify an argument of “unlimited”. However, care should be taken using this option: does your service really stop that frequently? Should it? exec executes the actual command. It took me no more than 2 hours to complete the job and to come up with the above application. 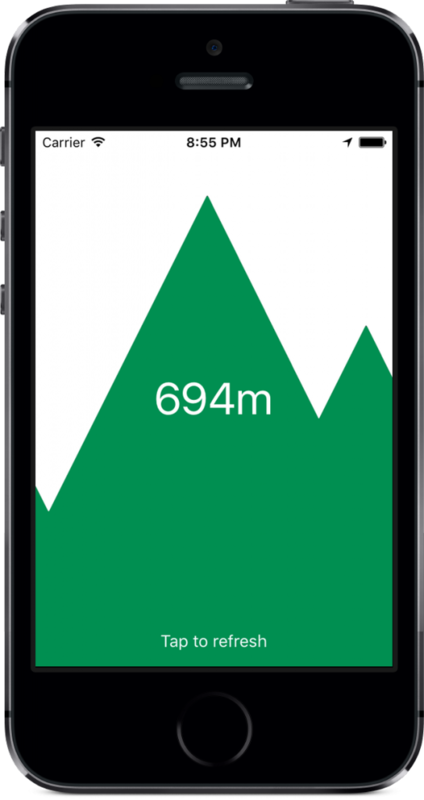 The source code is freely available on Github: Altitude. One of the cool things of games on smartphones, is that you can control objects using the device motion. 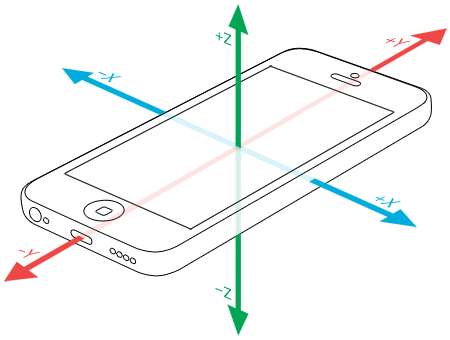 But how do you move an object using device tilt (using Swift 2)? To do so you need to use the CMMotionManager (which is part of Apple’s CoreMotion framework). 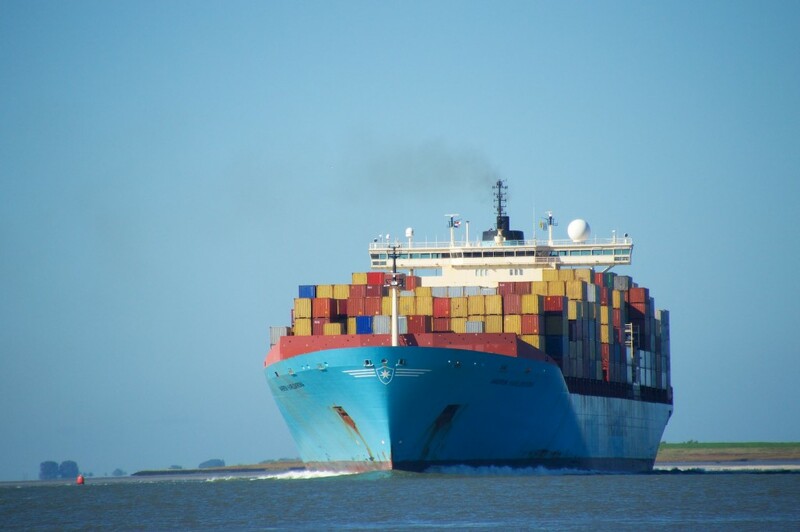 So don’t forget to include the framework at the top of your code: import CoreMotion. You must also create one (single) CMMotionManager instance. Once the motion manager is up and running, we can retrieve motion data from it using the accelerometerData member. // Only get use data if it is "tilt enough"
The data.acceleration member is a struct of type CMAcceleration which contains the acceleration along the x-, y- and z-axis. The following image (source) explains the orientation of those axes. Naar jaarlijkse gewoonte ben ik weer een maand op taalkamp geweest als monitor. Zie hier het resultaat van een workshop ‘Vidéo’ na 12 dagen Roeland kamp in Virton. Comme d’habitude j’ai fait un mois de camp de langue. Voila le résultat de 12 jours à Roeland. Un atelier Vidéo réalisé par 11 jeunes à Virton. L’Église Saint-Étienne de Waha (of Sint-Stefanuskerk) is een kleine kerk uit de 11de eeuw, gelegen in het dorpje Waha, bij Marche-en-Fammene (provincie Luxemburg). In 2003 verwezenlijkte Jean-Michel Folon de nieuwe glasramen voor de kerk.